Very fun and educational evening, filled with deliciousness. Works for me. The class will be repeated at the Growler Station again this Saturday, Feb. 8. 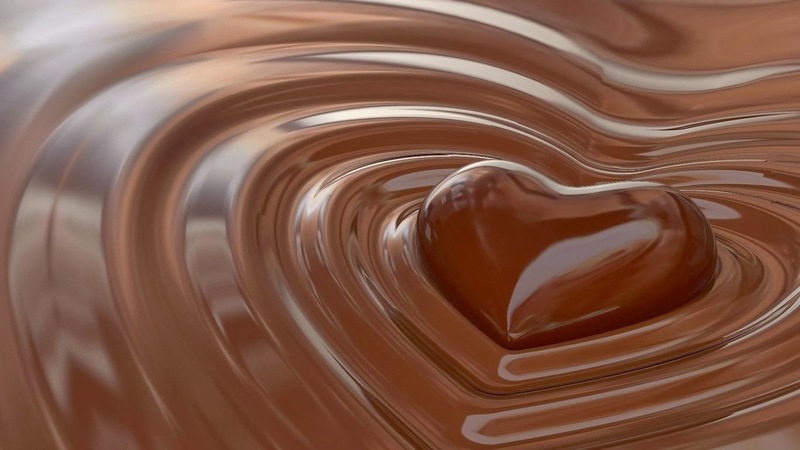 I highly recommend you attend if you've ever wondered, " how do they get that chocolate in there, anyway?" Very impressive line up for tasting and comparison, thanks to Big Jon's efforts and knowledge. First up was the Harpoon Chocolate Stout. Brewed with chocolate malts and a touch of chocolate, according to the brewer's description. We found it to be very drinkable, with a dry, medium body and . As with all stouts, Big Jon recommends aggressive pouring to get the dense head we want. 5.9% abv, with ibu of 40. Not complex but I found it satisfying. 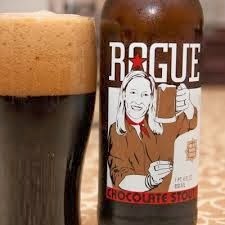 Next was the Rogue Chocolate. 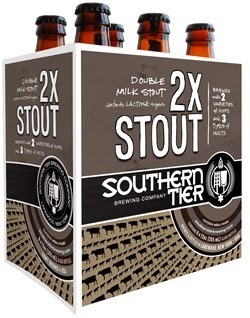 A very popular version and readily available, this stout gets its flavor from chocolate malts, roasted barley and "natural chocolate flavoring," which is the brewer's description. Medium bodied, good carbonation, hints of milk chocolate and cocoa in the dry finish. 6.3% abv is not noticeable, 69 ibu keeps the sweetness down. Very palatable and satisfying. This is a milk stout with no added chocolate, but man, did it taste like chocolate, all from the malted and roasted barley. Bigger bodied than the others, light carbonation. First sip and I knew I would enjoy this one, even with the 7.5% abv. Dry malt finish, left me swearing that there was indeed chocolate in there somewhere. We paired this one with a brownie and got more sweetness from it. Delicious. Great Divide Yeti Imperial Stout. This is a big one; 9.5% abv but hardly noticeable in the dry finish. Deep milk chocolate aroma, some dry coffee and smooth milk chocolate body. Thick, creamy, but with a good sharpness, bitter and dry, at the end. This one makes quite an impression and the chocolate flavors seem authentic, even tho the brewery grain bill description has no listed chocolates. Paired with our brownie really well. This could be the after-dinner sipper that we were looking for. All in the class liked this one, so I encourage you to try a taste when you have the opportunity (like this coming Sat, Feb 8.). And thanks again to Big Jon and Pierre at the Greenville Growler station for offering the class, thus contributing to everyone's enjoyment here in our craft beer community.